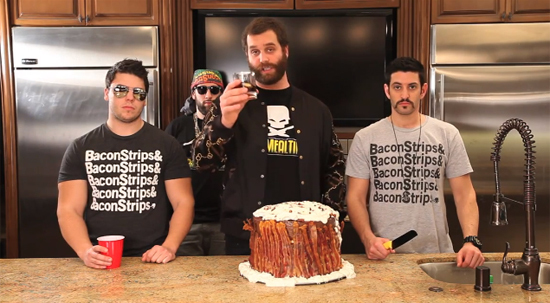 EpicMealTime is waking up from a 3-day coma that is a result of a brutal night of debauchery. The only answer? A greasy sweet and salty meal that will cure a brutal hangover. The Triple Pancake Fat Stack! Oh, and a whole bunch of drinks. Watch the video after the hang over click.